There are writers and then there are writers like Elizabeth Lowell. She writes real good romantic suspense stories, with so much depth and detail. I’ve always maintained that as much as I read books for pleasure, I enjoy the gratification of learning new things. Night Diver as the name suggests, is about the Donnelly diving family. It’s their bread and butter, diving and salvaging treasures from under the sea. After a terrible tragedy, Kate Donnelly stays away from her hometown, her brother and grandfather, building a career for herself. But one desperate call for help from her brother changes her life forever. Elizabeth takes us deep into the ocean as she unfolds the story behind the business of diving. Cut throat and filled with treacherous bumps, as much as it sounds exotic, it is also very competitive and dangerous. People have known to steal, lie and kill for the deep-sea treasures unknown, and this is the crux of her story. The story may have dragged a tad bit in the middle, since Elizabeth is particular about details, nonetheless it was worth a good read for me. 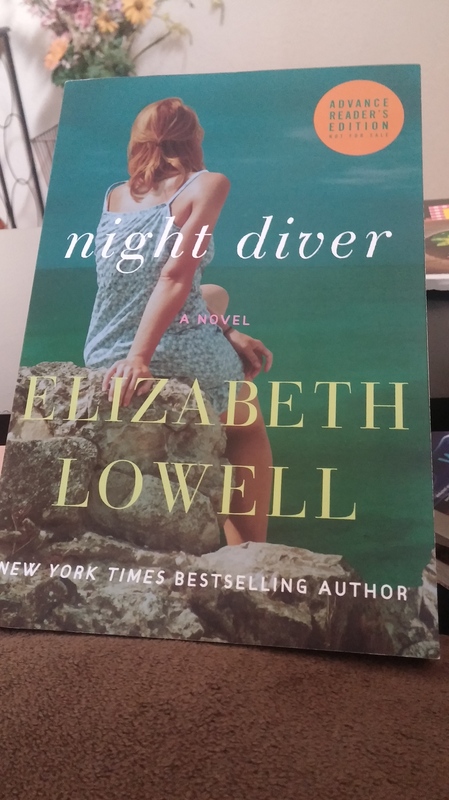 I loved the subtlety with which she builds the budding friendship between Kate and Holden Cameron, former British military to investigate the suspicious activity tied in with the Donnelly’s dive searching for treasures from a sunken pirate ship. I loved the way Holden was characterized with tenacity and focus. His patient handling of Kate as she battles the waves of nightmares in the sea, the references to the changes in Kate as the days go along, and the love that Holden has for Kate as he gets to know her, was portrayed with clarity and sweetness, it hits you right in the heart. The buildup to the end, the suspense as it gets ripped open, and the reality of Holden’s presence, is definitely a thrilling ride to the finish.